Temperatures have, more or less, consistently flirted with the 90-degree mark (if not the 95-degree mark) since mid-June in Portland. Given the high temperatures, it’s no wonder Portlanders are inflating their inner tubes and heading for their favorite waterways in droves this summer. And, given its low barrier to entry, it's no surprise floating is popular among locals. The fun summer activity requires little more than a float (widely available at outdoor retailers and big-box stores such as Walmart and Fred Meyer), personal flotation device (not technically required on individual rafts or floats, but nevertheless strongly encouraged), and transportation for shuttling between launch and end points. 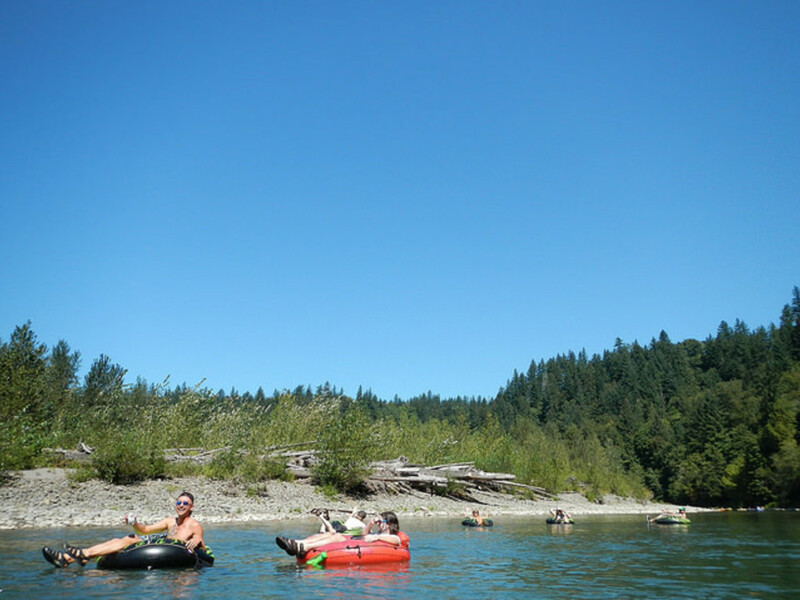 Everyone has their favorite float, but most Portlanders generally head for one of two locales: The Sandy River or the Clackamas River. The former offers a mix of fast-moving and laid-back routes in the midst of the beautiful Columbia River Gorge, while the latter’s overwhelming popularity creates a communal, party-like vibe most weekends. Wherever you wind up, here’s what to know when you go. Sections of the 38-mile Sandy River Water Trail , fed by Mount Hood’s Sandy Glacier, offer myriad options for floaters looking to enjoy the summer sun. 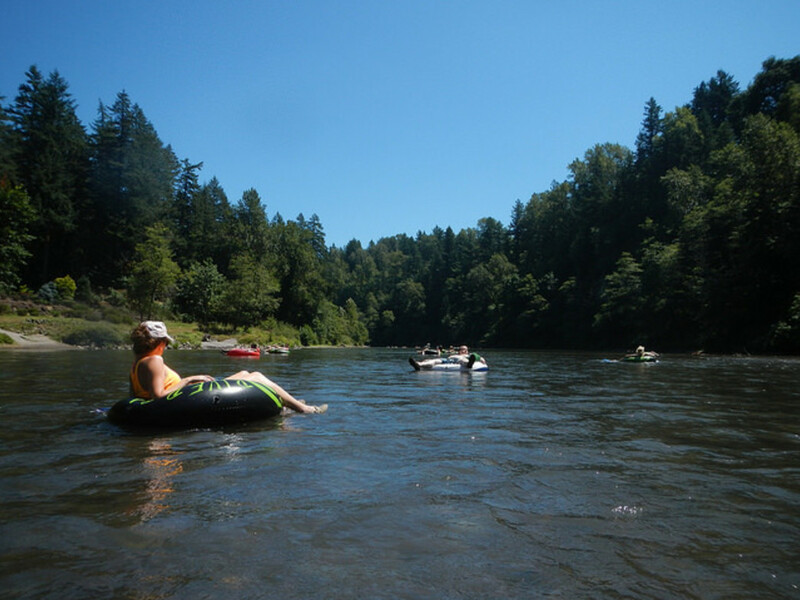 The four-mile section between Dabney State Recreation Site and Lewis and Clark State Recreation Site, which ends just east of Troutdale, is among the most popular routes for on-a-whim floaters. Even with occasional stops for food, drink, or sunbathing, the mellow section of river only takes about 2-3 hours to complete. Take note: A class III rapid about a half-mile down from the Dodge Park drop-in might give floaters pause, and smaller rapids are common until Oxbow Regional Park. The seven-mile float between Oxbow Regional Park and Dabney State Recreation Site is another popular route for floaters seeking swift currents, thanks to the presence of several class I rapids. No matter the route, floaters may see a variety of wildlife, including osprey, ducks, geese, and wild turkeys. Roughly 45 minutes from Portland, Milo McIver State Park is perhaps the most popular launch pad in the region. Floats between the park’s upper ramp and Barton Park or Carver Park take between 2-9 hours, while floats between its lower ramp and Barton Park or Carver Park take 5-8 hours. 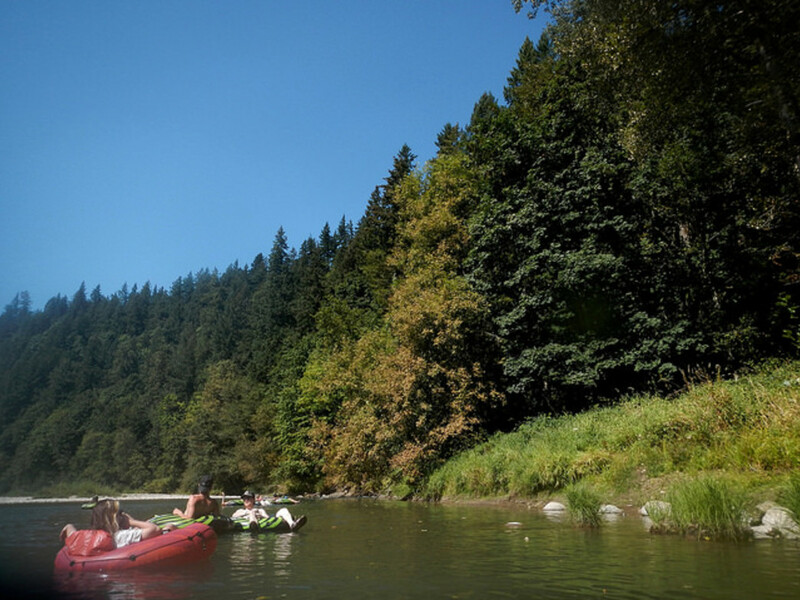 Those are only a few of the many floating options along the Clackamas River, though. The 5.5-mile stretch between Barton Park and Carver Park is popular, thanks to the occasional class II drops, and floaters looking for an easy afternoon can float between the Milo McIver State Park’s upper and lower ramps in about two hours. 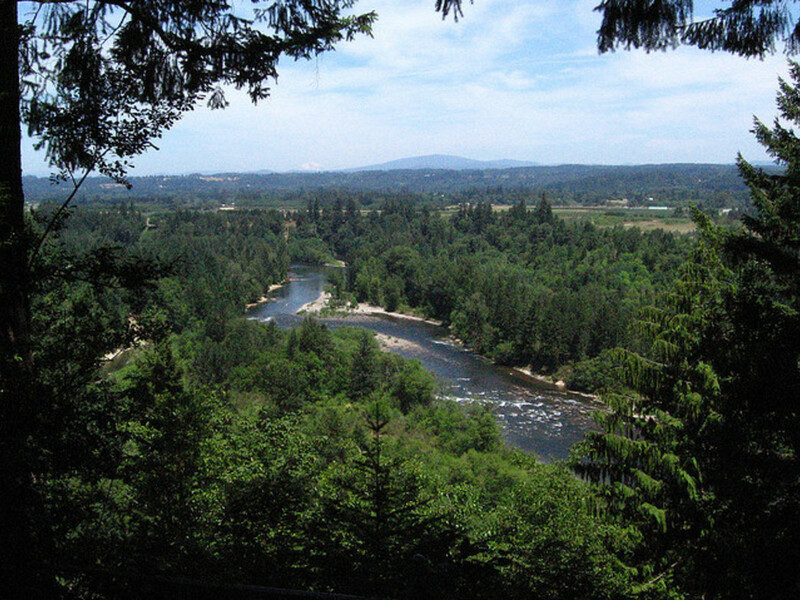 No matter which route you opt for, Clackamas River floaters can expect to enjoy a mix of thick, green forests and occasional rocky outcrops. 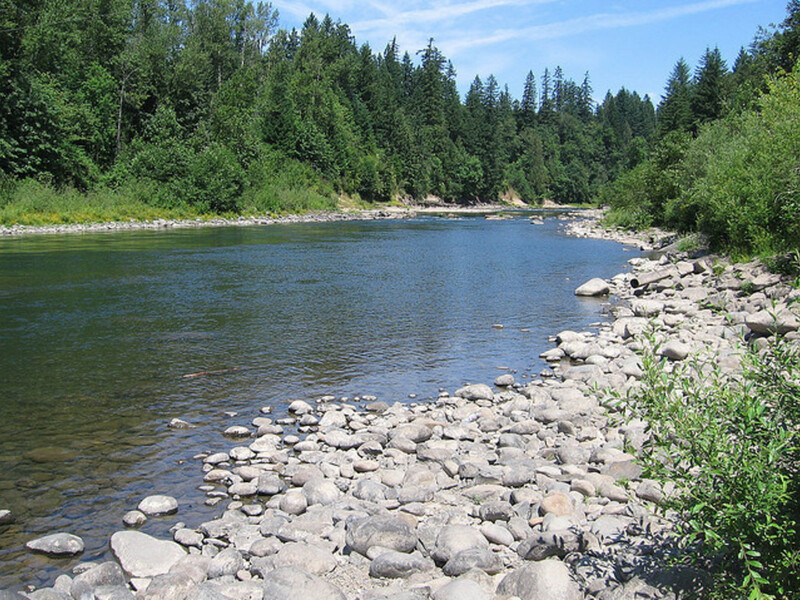 Clackamas River floaters should be aware that water levels are lower in 2015 than in past years, which may lead to more punctured rafts and injuries. Take caution to avoid rocks and remain aware of your surroundings along the way.